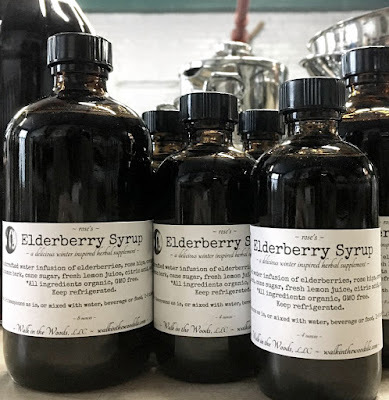 There's as many ways to make elderberry syrup (and any botanical syrup) as there are herbalists to make it, and in as many variations as there are inspirations that each herbalist has in the moment they're making it. When I make elderberry syrup for our little household, I pretty much make it different every time. Sometimes I add rose hips, citrus peel, ginger, cinnamon, cardamom, dried apple or other fruit, or something else, or some combination of botanicals. 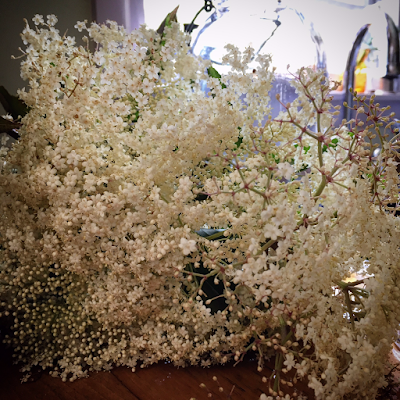 The one constant ingredient, other than - in this case - elderberries, is love. Always love. Yet, as many botanical variations there may be, the process is simple. Simple in that it is an infused simple syrup. Simple syrup is a basic kitchen skill, and one that I've always thought that everyone had. I've come to understand - reluctantly, I confess - that basic kitchen skills have faded in the disempowering mists of corporate food indoctrination. And if you know me at all, I will fight to counter this, and I will do my best to bring back that which is being forgotten. And that includes making a simple syrup, from which medicinal syrups may be made manifest. Place the botanicals in a lidded pot and cover with 4 cups of cool water. Place over moderate heat to bring to a gentle boil. Turn down the flame to a gentle simmer, covered, for about an hour or two. Strain and compost the plant matter. Measure your fluid and return it to the pot. For every cup of fluid add a cup of sugar, bring to the boil, stirring, to ensure the sugar is dissolved without scorching. Turn off the heat, cover and let cool before bottling and labeling. This syrup will keep in cold storage (AKA: the refrigerator) for months. At the first tingle, tickle, sign of symptom, take a delicious and generous spoonful every couple of hours. You can take it as is, or sweeten a glass of water, or cup of tea, or in any way that inspires you in the moment. Like many botanical syrups that I make, you might want to use it as an everyday Wellness Food, as you would any syrup ~ on pancakes, over (or under) desserts, to sweeten water, yogurt, smoothies, teas and other beverages. I sometimes “spike” mine with a fitting cough-relief tincture to take when symptoms make manifest. Whatever you do, enJOY and be well by Nature! “Let Food be the Medicine, and Medicine be thy Food.” ~words attributed to Hippocrates, the father of modern western medicine. One of the things I love about making elderberry syrup from the dried berries throughout autumn and winter is the seasonal magic that this amazing plant conjures within me. I recall the greening of the plant and sprouting of its leaves - and suckers - in spring. I recall the formation and evolution of green bud to creamy-white blossom, and eventually the dark, midnight blue berries. I recall the modest majesty of this royal plant, and the beauty and blessings it offers to our little acre and all life that visits there. It conjures warm, sunny days in the dead of winter. That's magic. That's Medicine. Mix together the nut butter, syrup and vanilla. Blend in the powdered herbs (the contents of this kit), mix really well. Roll into 1-inch balls (you many want to chill the “dough” a bit before rolling), dust in powdered cacao (or coconut, or hemp seeds, or anything of your choice). These will keep in the refrigerator several weeks, if they last that long… enJOY! My beloved Hypericum perforatum is a member of the Hypericaceae family, of the Hypericum genus. A native to Europe and Asia, she now grows throughout the northern hemisphere where seasons and rainfall have a relationship pattern. Think of our spring to autumn rains. 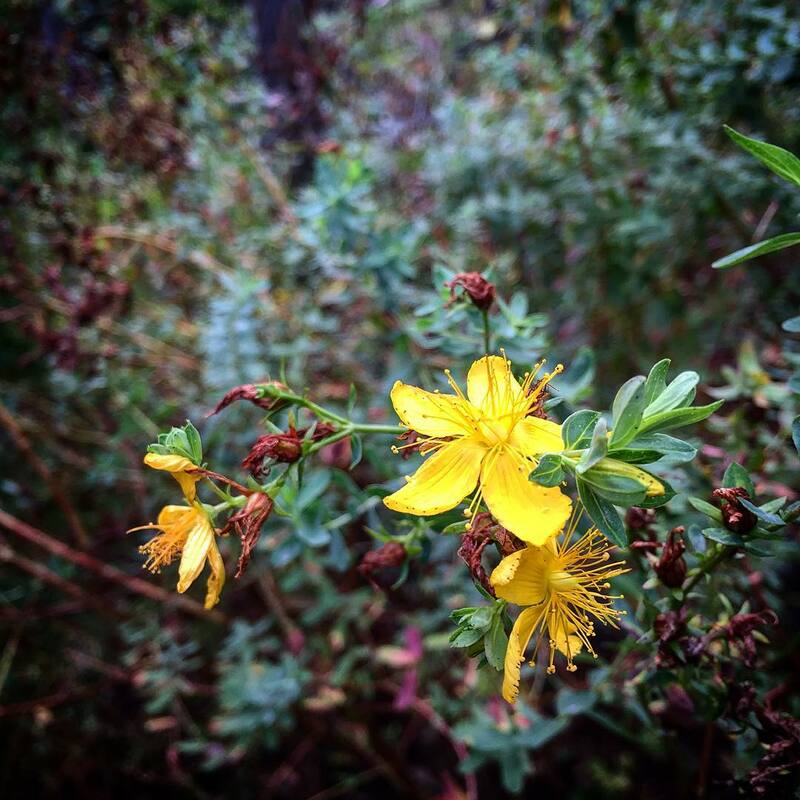 Hypericum takes roots in meadows/lawns, along hedgerows, and on high, dry, sunny hilltops. She seems to make her home in most sunny locations that are less traveled (I rarely see here along roadways, or common paths). 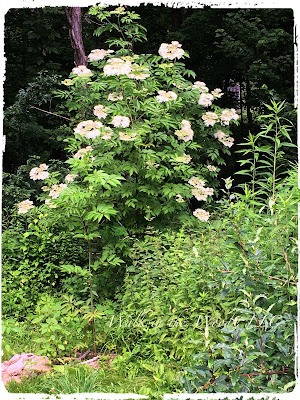 She begins her blooming as summer takes root, and her blooms (and flowering tops) are harvested throughout the summer months. The size of the plant is influenced by its environment (soil quality, compactness, sun exposure and the like). She is a creeping perennial that can grow to upward of 3 feet high (and higher), though she tends to droop as the season evolves. Her stems are erect, somewhat woody, branching at the upper section, with opposite, oblong leaves measuring about ⅓ to 1 inch, with their telltale pellucid dots. She is considered a non-native invasive by some, though I find her quite well behaved. The plant, apparently, is known to be toxic to grazing animals. Her genus is born of Greek, hyper meaning above and eikon meaning an image, a picture. This botanical name reflects the history of the plant being hung over religious icons during the Christian Saint John’s day with intentions of protection. In all likelihood, this practice is much older. But rest assured, she is protective! Parts used: Buds, flowering tops. Harvest: Budding and flowering tops, typically July to September in my part of the world. Taste: Bitter, astringent, resinous. The fresh flower is often described as acrid, though I enjoy nibbling a few fresh buds and flowers every year. Key Actions: Anodyne, anti-inflammatory, anti-microbial, nervine (relaxing), trophorestorative (invites harmony and balance to a particular organ or system - in this case, the nervous system - whether the function is in excess or deficient). Constituents: Hypericin, bitters, flavonoids, tannins, volatile oils, and others. Contraindications: To me, none, though care of use, application and dosage should always be considered with pregnancy and breastfeeding. You’ll likely run across writings that warn of photosensitivity, which is not without merit… if you’re munching on it in a pasture with other grazing animals, or ingesting it in dry, powdered, capsulated form. Using this plant in the traditional ways (tea, tincture, infused oil) has not, in my experience and those around me, presented such a contraindication. I’ve heard, too, that it can interfere with the efficacy of other pharmaceuticals, but have not read anything that convinces me of this. Of course, until such time that the pharmaceutical industry can tell me how their drugs interact with all their other drugs (and foods, and herbs), I choose to trust botanicals (and other Nature-born foods) used in their long-standing traditional ways. Medicinal use: Flame. Burns, inflammation, nerve injury and involvement, general wound healing. And think of these indications not only in physiological terms, but holistic terms as well. I use Hypericum perforatum for burns of all kinds, to both treat and prevent. For years she has been sunscreen in both oil and tincture form. My experience (and I hear this from others) is that her impact seems cumulative, meaning I’ve needed her less and less for this purpose over the 20-r-so years I’ve been using her in this way. You may have heard that Hypericum perforatum causes photosensitivity, but my findings suggest this is true only in the use of it in capsule form, which is not a traditional application of the herb, as Susun Weed often reminds us. I keep her in my kitchen for treating burns that happen there, applying a bit to the injured area as soon as it happens. I find a spray bottle of tincture blended with a bit of (responsibly and sustainably procured) glycerin or (better yet) local honey to be a fast and simple way to administer the herb to the injury. It mixes nice with aloe too, for this use. Balms and salves made with an infused oil of Hypericum perforatum are useful for the same, especially over the course of healing the wound. I read an article, years back, by Susun Weed in Sage Woman magazine of how she used it to prevent muscle soreness after excessive physical exertion. Since then, I’ve employed the tincture after such activity, internally (and topically), especially after the first major snowfall of winter (I shovel) and during the first garden tasks in spring (after a lazy winter hibernation). My results with this application never cease to dazzle me. It is certainly a wonderful Medicine for nerve injuries. Boericke, 1901: Materia Medica states, “The great remedy for injuries to nerves, especially of fingers, toes and nails. Crushed fingers, especially tips,” and I can attest to this. Of course, I’ve used it with injuries of every kind, especially where the nerves are excited or flaming. It mixes well with antispasmodics as a lovely and effective tincture (liniment) for dripping and/or gentle massage along the spine for back injuries. Quite frankly, I find this practice to have a positive impact on injury, inflammation, pain and most any disharmony most anywhere in the body. Hypericum perforatum also promotes healthy tissue growth. So, you can see why this botanical is a fixture in my Medicine bag. Spiritual relationship: This is the botanical that asks, “Have you been burned?” It is also the botanical that asks, “For what do you burn?” Need I say more? Energetically, I find this herb to be a great match-up for those who carry the burden of trauma (past, present and future) with them and seem to enjoy sharing it with others, who wear their life-injuries like a badge, and who exhibit addictive-like behaviors to such less-than-positive and depleting experiences. In such instances, and other intuitively guided cases, I’m most often drawn to use Hypericum perforatum as a tincture in super-homeopathic doses, as a flower essence, and in blessing waters. Do you see what I see? The land of my dominion! Can lift me up and carry me as on an eagle’s pinion. And put down deep and lasting roots, wherever land is grassed. Do you know what I know? My life is never-ending! Pity all poor gardeners’ vain efforts at lawn tending! Could never yank this lion’s tooth, so go ahead and bite me! The Taraxicum genus is one of our North American natives, also home throughout temperate regions of the northern hemisphere. This ubiquitous beauty is so well known that it needs little botanical description. 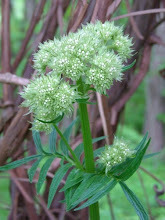 The genus is described as a herbaceous, tap-rooted perennial plant of many species that adapt to the unique qualities of their environment. We know this plant most readily by its golden-yellow composite flower head, which is made up of many tiny flowers (florets). These happy flower heads open in day and close at night, a pattern I relate to breath. The flower heads are born singly on the leafless scape (the hollow-tube-like-stem), that exudes a milky white latex that we all recognize. And who hasn’t dug a dandelion root? The typical tap root, sometimes splitting, from which a basal rosette of simple, lobed leaves, growing 2 to more than 10 inches in length, gives birth to one or more scapes which, in turn, give birth to the flower heads that mature into spherical seed heads called blowballs. You may already know that the common name, dandelion, is born of the French common name, dent de lion, which means tooth of the lion. Why? 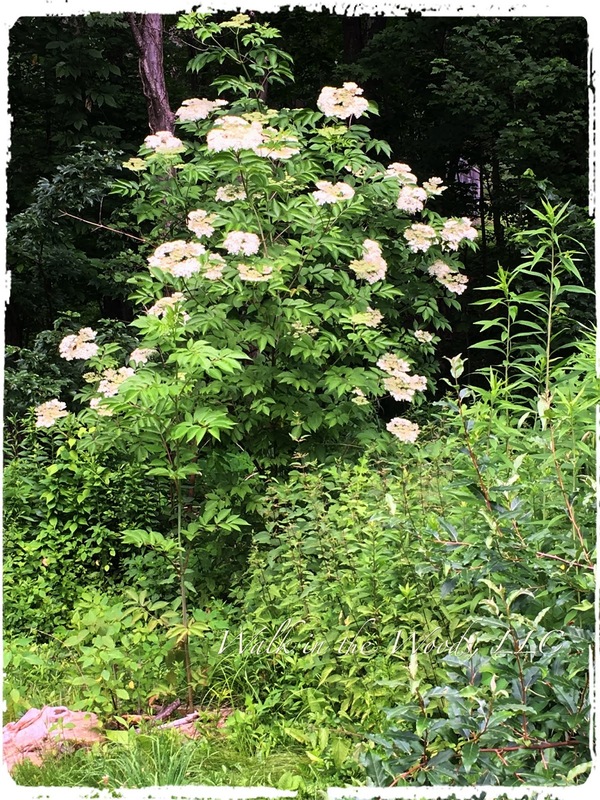 Observe the leaves… the flowers… the root… of what might they remind you? Harvest: Roots, leaves, flowers, buds. Actions: Anti-rheumatic, bitter, cholagogue, diuretic, hepatic, laxative, nutritive, tonic, among others. Constituents: Fructose (richer in spring); sesquiterpene lactones; diterpenes, taraxacin; triperpens; sterols; carotenoids; xanthoxophylls; flavinoids; polysaccharides (inulin – among others – richer in autumn); potassium (up to 4.5% in aerial parts). Contraindications: Rare allergies. While considered safe during pregnancy, nursing and for children and the aged, it might best be avoided in Medicine form by those with low blood pressure. Mark McDermott used tincture leaf tincture in formulas dealing with kidney and bladder stones. Susun Weed suggests its use for minimizing bloating ad cerebral edema (in Ginkgo) that leads to irritability and mood swings, as well as for menstrual challenged of cramps, water retention, pelvic congestions and to balance feelings. The root, with its hepatic and cholagogue actions, has a history for being a premier choice for inflammation of the liver and gallbladder. In general, it aids digestion by maximizing the flow of bile into the intestines. It is supportive to a congested liver that is burdened by hormones (HRT) or other drugs. Ellingwood mentions the root in the treatments of chronic jaundice, rheumatism, chronic skin eruptions and chronic gastritis, among other conditions. This plant holds a special place in my heart and around my little backyard farm. In spring, I simply dig up the early dandies (usually from paths and garden beds where I prefer they not grow) and use the leaves fresh in salads and sautées and roast the roots for a delicious decoction to enjoy throughout the year. In general, the leaves are sweetest in spring, and the roots in autumn. Despite all the years that I’ve been leveraging this botanical for Food and for Medicine, I’m still inspired by her and learn new things every year. I’ve recently seen some herbalists using the flowers to make an infused oil for topical use. This is new to me, so I’m making a small batch of oil so I may experience it before setting out on research and conversations with my Green peers. Simmer the water, vinegar and salt together until the salt is fully dissolved. Let cool. Pack your jar/s with the dandy buds add the garlic and lemon zest (dividing evenly between jars, if you’re using multiples). Pour in the warm liquid over the plant matter leaving about ½-inch headspace, using a chopstick to remove air bubbles (and adding more liquid if need be). Cover, label, and put in cold storage for several weeks before using (alchemy happens!). Then… enjoy as you would any caper! Simmer the dandy petals, apple, rhubarb and lemon juice for 20-30 minutes. Strain out the solids, measure the liquid and add an equal amount of cane sugar, by volume, to the liquid, return to the simmer until the sugar is dissolved. Bottle, label, refrigerate to increase shelf-life and enJOY as you would any other syrup! Powder your dried leaves to add to your culinary green powers. 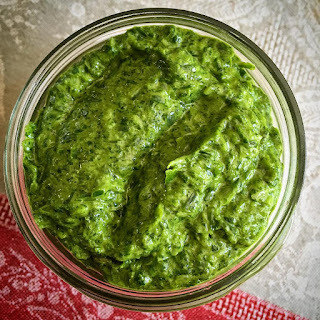 I often mix this and similar powders with onion, garlic, dried tomato “waste” from puree-making to keep in a shaker jar for adding to foods and as a garnish. Charming Stellaria media, the common star, is another non-native botanical – introduced from Europe – that has made itself quite comfortable and welcomed in North America. It’s also made itself at home throughout Asia. My experience with this little plant is that her seeds germinate in late winter, she flourishes, flowers, and goes to seed in spring, well before summer is even in our thoughts. In summer, when so many other botanicals are busy flourishing, chickweed is rarely seen. Yet, when those other plants mature and begin their waning, chickweed returns. “The stem is procumbent and weak, much branched, often reaching a considerable length, trailing on the ground, juicy, pale green and slightly swollen at the joints. Chickweed is readily distinguished from the plants of the same genus by the line of hairs that runs up the stem on one side only, which when it reaches a pair of leaves is continued on the opposite side. The leaves are succulent, egg-shaped, about 1/2 inch long and 1/4 inch broad, with a short point, pale green and quite smooth, with flat stalks below, but stalkless above. They are placed on the stem in pairs. The small white star-like flowers are situated singly in the axils of the upper leaves. Their petals are narrow and deeply cleft, not longer than the sepals. They open about nine o'clock in the morning and are said to remain open just twelve hours in bright weather, but rain prevents them expanding, and after a heavy shower they become pendent instead of having their faces turned up towards the sun, though in the course of a few days rise again. The flowers are already in bloom in March and continue till late in the autumn. The seeds are contained in a little capsule fitted with teeth which close up in wet weather, but when ripe are open and the seeds are shaken out by each movement of the plant in the breeze this being one of the examples of the agency of the wind in the dispersal of seeds, which is to be seen in similar form in the capsules of poppy, henbane, campion and many other common plants. The vernal darling, chickweed, creates a creeping yet matting groundcover. As a backyard farmer, I do my best to harvest this little wild one before my chickens do, to use in spring salads, soups (a simple chickweed ‘n’ miso with Egyptian onion being a early spring ritual), and the occasional pesto. If you are blessed to know someone with a cow field, request their permission to forage there, for I have discovered the most robust chickweed (among other botanicals) growing in such places. Around these parts two “chickweeds” are common, the Stellaria media (cool and smooth) that we’re addressing here as well as Cerastium fontanum (warmer and fuzzy). Harvest: Aerial parts. Spring and autumn (or whenever you discover the fresh, vibrant growth of this little contrary plant). The leaves, stems, flowers and seeds are all used as Food and Medicine. Humors: Cool and damp (much like her preferred environment). Constituents: Coumarins, saponins, and others. Nutrients: Chlorophyll, minerals (calcium, copper, iron, magnesium, manganese, phosphorus, potassium, selenium, zinc), vitamins (A – from carotenes, B vitamins – folic acid, niacin, riboflavin, thiamine, C) and others. I consider the charming Stellaria to be yet another mineral-rich Food, and its saponins help us to absorb and use those nutrients. Saponin-rich chickweed also supports the breakdown (and ultimate elimination) of unwanted matter like catarrh, digestive mucus, bacteria, and even fat cells. It’s also supportive in dissolving cysts (with an apparent affinity for ovarian cysts) and benign tumors. Susun Weed suggests regular and consistent use of FPM tincture (1 dropper full, 2-3 times a day) over time (up to 16-monts) to dissolve ovarian cysts. 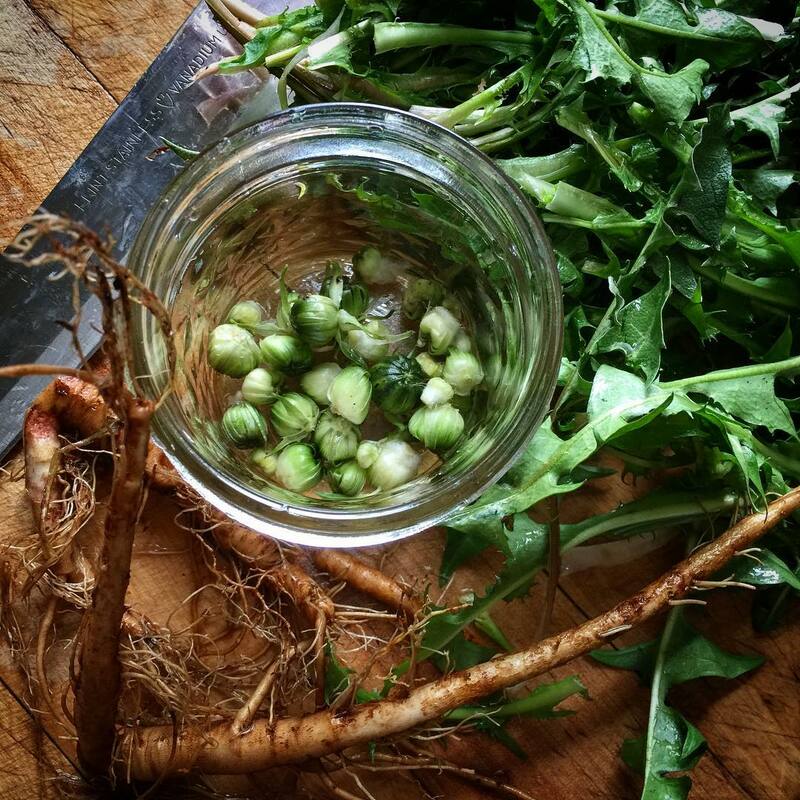 Chickweed has a long tradition of use for cooling, soothing and whisking away many an infection and inflammation. Over the years I’ve known of two folks who’ve praised its internal and external use for calming their rosacea, though that result isn’t consistent with everyone, but I’m still seeking folks to use it this way to see if we can spot some telling pattern! It has a long-time folk reputation for supporting weight management. It’s considered to be supportive to the lymphatic system, much like calendula, as a gentle lymph-mover, though I’ve never used it in this way, perhaps because I generally have more calendula with which I make tincture for this use. But, if I didn’t have calendula, I’d certainly give this a go! As I passed through my menopausal gate, my body simply wanted to be heavier. For me, I’m confident that a need for grounding was involved here (that’s a story for another time). But one of the folk-uses for this plant, as a long-brew infusion (or tincture), is for supporting weight (specifically fat cell) loss, and while I didn’t much care about this at the time, I may at some point in the future, for chickweed has a tradition of use among the matriarchs (or crones, if you prefer). I appreciate chickweed worked into an infused oil. I use it as is, or processed into a balm for all things itchy. While my go-to for itchy situations is plantain, this is my number-two, and I’ve known many moms over the years who swear by it for preventing and treating diaper rash. 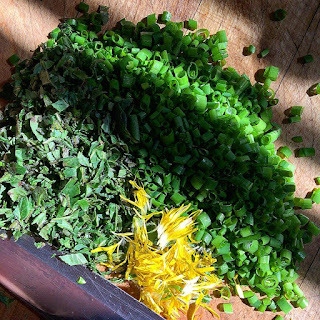 I have blended chickweed oil with calendula oil for itchy, rashes that manifest in those “places where the sun don’t shine” (quoted words lovingly stolen from herbalist, Matthew Wood). While calendula alone is most often sufficient for managing these dark, dank challenges, the addition of chickweed (or plantain) oil really quiets the symptom of itch and, in turn, supports the whole of the healing process. The fresh plant makes a fine poultice for wounds and infections. Susun Weed says that it’s a favored application for managing pink eye in kids. Make these things and more! Ignite your imagination, intuition, and inspiration to nurture a meaningful relationship with this lovely and generous little botanical! Spring Miso Soup. This is an annual tradition of time. It’s usually my “first” Stellaria preparation. Any soup, stew or braising medium. Dehydrated– as out-of-season leaf additions to foods, teas, as well as for powdering to use as a condiment and garnish. Frozen – for out-of-season additions to foods and topical treatments. Infused Vinegar – for a mineral-rich Food supplement that's delicious on salads, in soups, etc. Infused Oil – As is, for topical use, in balms and soap making. Here’s a link to a balm recipe from Rosalee dela Forět. And remember, this is just one method to make a balm. 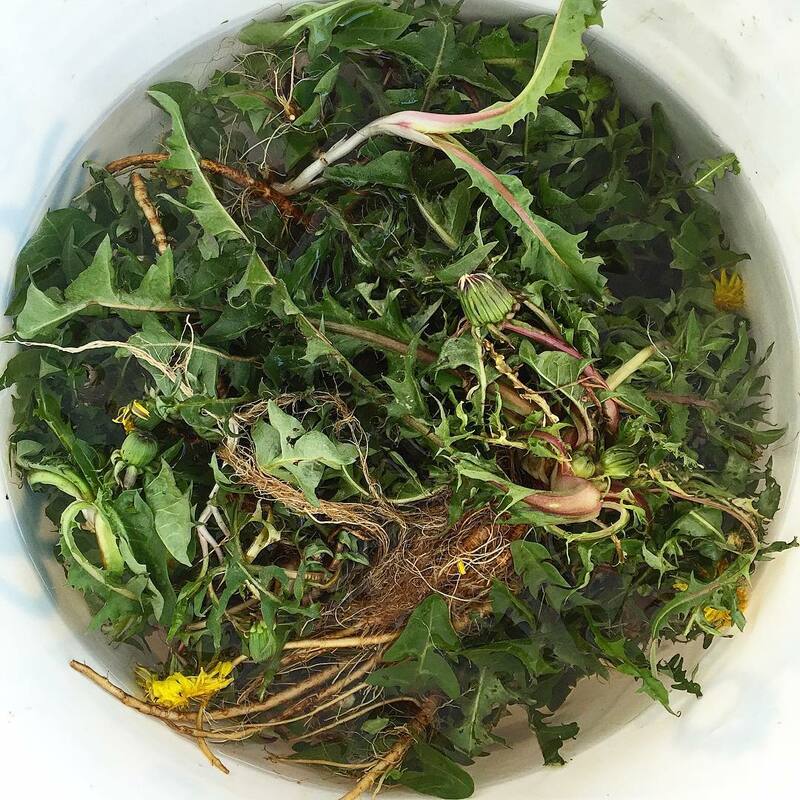 Tincture – Fresh Plant Matter (FPM) is recommended by Susun Weed, yet other herbalists make and use a Dry Plant Matter (DPM) tincture. So… play, experience and see what you discover.